This is the second time I have been here (read first review here) and I have to say, it was as good as the first time! Last time I had the ‘sloppy joe’ and it was indeed sloppy and messy! 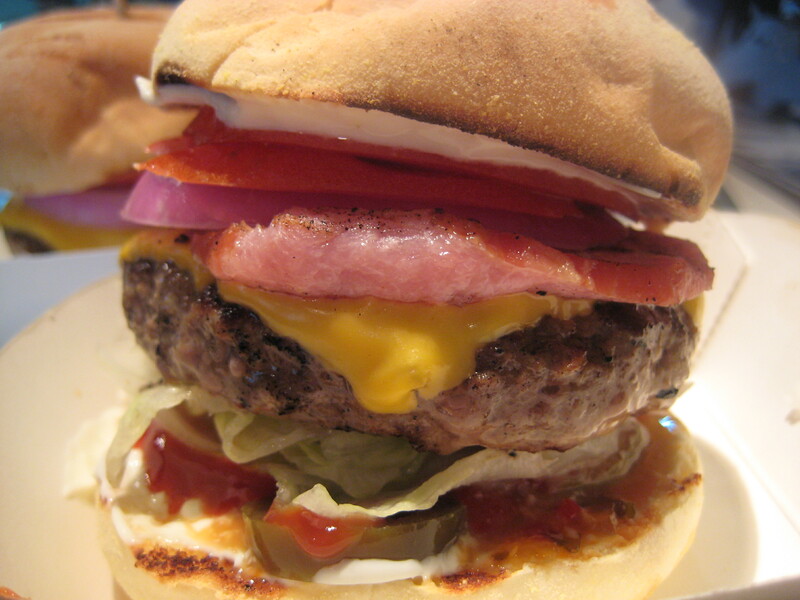 This time, I wanted something simpler – a cheese burger with bacon! All the burgers are made freshly on the spot whilst you wait, and once it’s done, the waiter will bring it over to your table. I have been craving for a burger for a while now and I had high expectations! A tower of goodness was placed in front of me, and OMG – that first bite was just magical. It was absolutely fantastic. The beef patty was juicy and succulent, the bacon crispy and salty and burger a little spicy from the jalapenos. It was messy, sauce dripping everywhere, but it was absolutely phenomenal! Each bite I took was better than the next, I wanted more and more!! It was mouth watering! The burger went down quickly and nicely! It was absolutely superb! 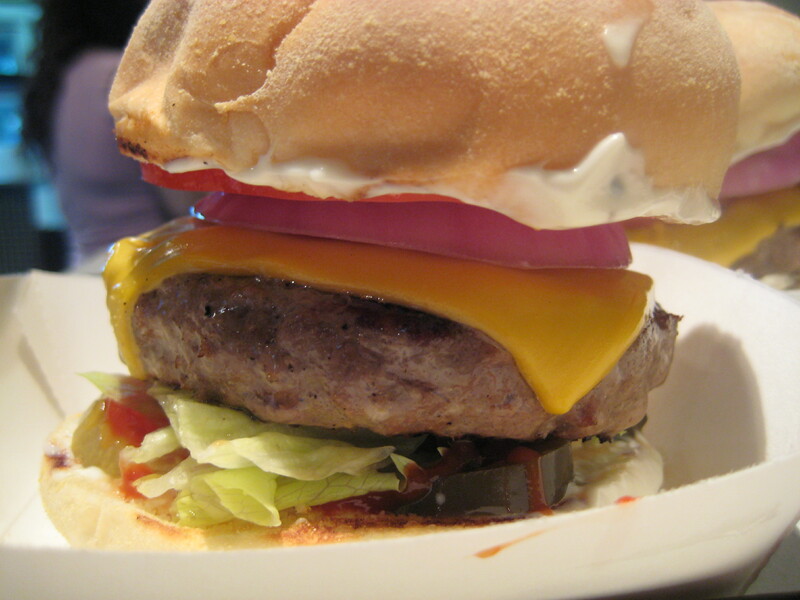 Hubby had the classic cheese burger, which was the same as mine without the bacon. He demolished this and was eye-ing my burger! Um.. NO! He definitely enjoyed this better than the hotdog (which he had last time!). Not sure why we didn’t get any chips! That would have definitely gone down nicely too! They have buffalo wings which I have yet to try and for those who wants poutine, they also have it here at the Big Bite! It looked good but I think after my tower of goodness, I was truly and utterly stuffed! So who wants to grab a burger at the Big Bite sometimes soon?